Fall is in the air, finally! Time for pumpkin picking, dressing up in fun costumes, boots, hoodies and hay rides!!!! 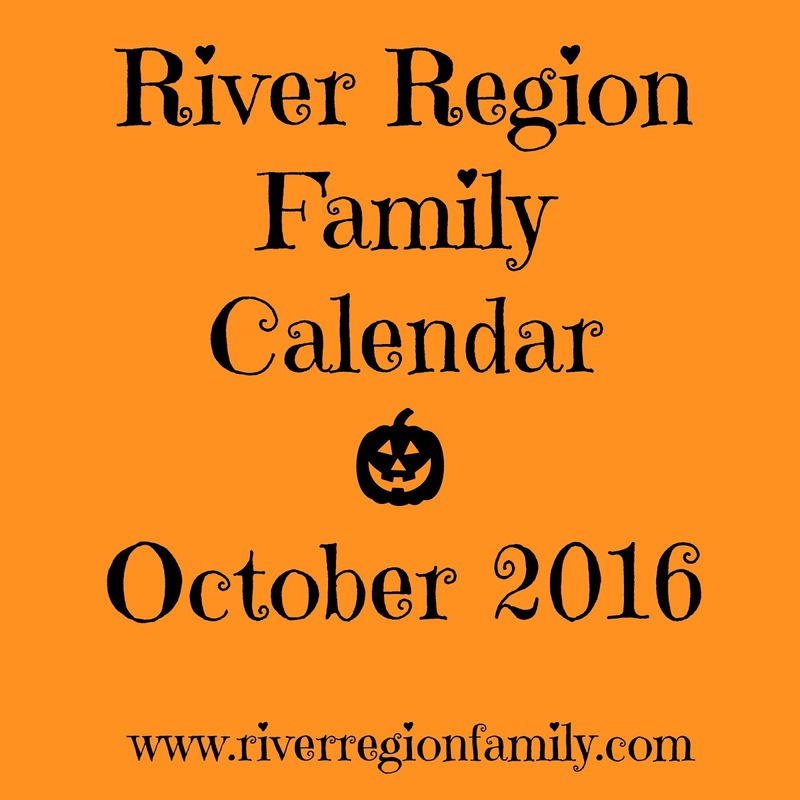 Here is a list of family-friendly events in Montgomery, Prattville, Wetumpka and surrounding areas for October. 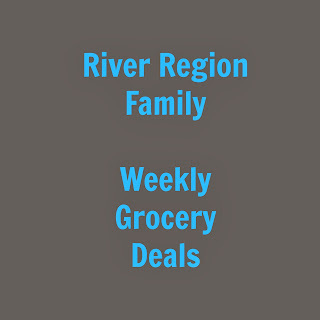 If you know of any other events to share with families in the river region, send an email to: riverregionfamily @ gmail . 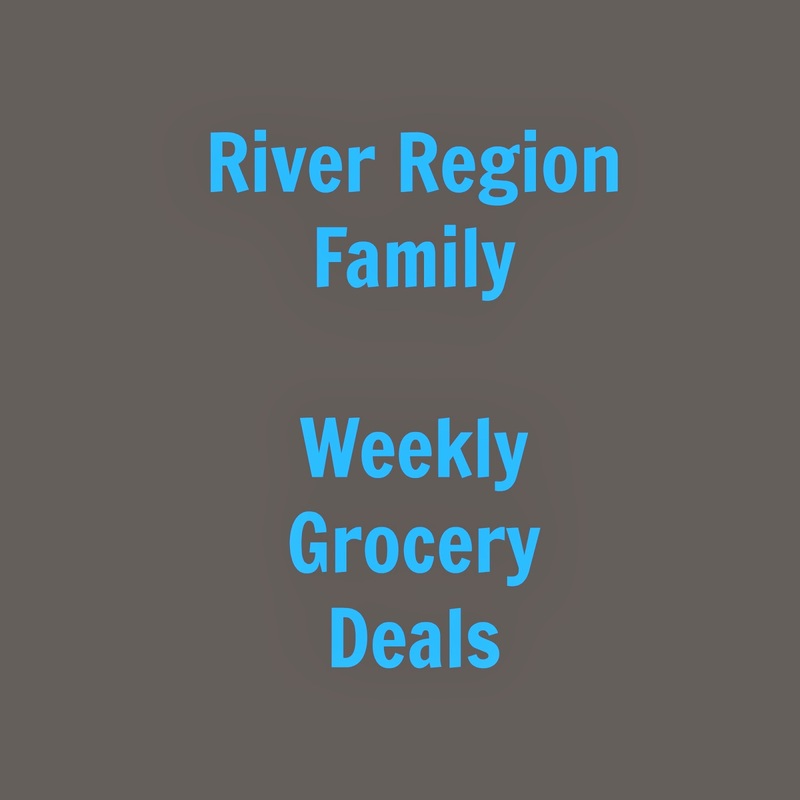 com or leave a message on this post or on the River Region Family Facebook page. Build a firetruck. Kids get to keep their craft, receive a certificate of achievement, a workshop apron and a commemorative pin. While supplies last. Living history. Ft. Jackson 1814 Militia. Hike begins at 11:30. Admission Charged. Use rear entrance at 1 North Union Street -- Guided tours are available at 9, 11, 1, and 3 to individuals and groups. (No self-guided tours on Saturday.) Tours last approximately 45 minutes. Pre-arrangement suggested, but not required, for groups of 15 or more. Target parking lot, Meet local law enforcement, get to know your neighbors, motorcycle demonstrations, fun activities for kids! Decorate a pumpkin. Enjoy a free Icedream. $5 Admission Charged. Birding hike begins at 11:30. Tour wagons, gps treasure hunts, corn maze, milking demonstrations and other fun activities. Located at E.V. Smith Research Center in Shorter. For ages 2-5 with parent or adult caregiver. MMFA and ASF in collaboration will present a day for families to view the First Folio with offerings on the grounds of the theater including performances, creative children’s activities, artisan demonstrations, fight presentations, talks on Shakespeare, and more. Several arts activities (1 to 2 P.M. and 3 to 4 P.M.) will also be offered at the MMFA. The day will begin at noon with a special Theater in the Mind Lecture on ASF’s Festival Stage in anticipation of a 2 P.M. performance of Gravedigger’s Tale. The First Folio will be on view at the Museum until 5 with related drop-in arts activities offered at the Museum from 1 – 2 and 3 – 4 PM. At these times young visitors will be invited to create their own paper Hamlet characters with costumes. Throughout the day, a variety of the entertainments listed above will be ongoing at ASF. For tickets to the matinee of Gravedigger’s Tale, please visit ASF.net. Activities will begin at 4:00pm and include a slithering snake encounter, Black lighting for insects, ewwy gooy touch table, flashlight spider search and night hike, and a movie under the stars! Smores is complementary for the movie. Please feel free to bring a blanket or chairs for the movie. Recommended ages 5 and up. Free fall family fun, live music, live characters, games, pumpkin patch, bounce houses, concessions, and more! Fieldtrip to Sidney Lanier High School, Meet at the school, 1756 S Court St.
Pony rides, farm animals, tshirt painting, equestrian drill team performance, petting zoo, live music and much more! Hot Dogs and refreshments provided. 6 pm ANC Program- Exploring Alabama's Caves. $5 admission. Exploring Alabama's Caves - Ray Knott, Executive Director of The Southeastern Cave Conservancy, Inc, will tell us all about the secret world below our feet. The SCCI is the largest land conservancy solely dedicated to the conservation of caves and karst environments. Watch an exclusive screening of Southern Exposure's Sharing the Secrets, a film that takes viewers underground into the vast subterranean geology of a few of Alabama's more than 4,000 caves! We will also have some live bats on-hand as part of this cool presentation! Decorate a superhero mask, enjoy snacks, enter for giveaways and save money on one-day specials. We’re also hosting a canned food drive to raise awareness about global hunger. Stop by between 11AM to 3PM in the Whole Foods Market parking lot to pick out your pumpkin and meet some of our team members! We're excited to get to know our community as we prepare for our grand opening in November. Pumpkins are first come first serve and one per household. Participants will be invited to explore the exhibition Federico Uribe: Transformart and create inventive 3-dimensional artwork with jazz performances ongoing. The afternoon will end with a dance interpretation of Uribe’s work by the Booker T. Washington Magnet High Dance Theater starting at 4 P.M.
Trunk or treat, hayride, music, inflatable, face painting and more. Dress up for Halloween and receive a free chocolate chunk cookie. The Cow will be judging the contest and the winner will receive a grand prize! This free event is for toddlers through second graders.Lineup will begin at 3:30 p.m. and this year we plan to have two starting points for the lines to begin. We will have our usual starting point in front of City Hall and to relieve the congestion and long waiting times, we will have a second starting point at the end of Main Street at Heritage Park. Each of the lines will continue through the shops of Downtown, with many of the businesses participating. Halloween ComicFest is an annual event where participating comic book specialty shops across North America and beyond celebrate the Halloween season by giving away comic books absolutely free to anyone who comes into their shops. Find participating shops here. Spooky movie and trick or treating at the mall stores. Free hot dogs, hayride, games, inflatables, and more! Inflatables, pony rides, prizes, candy, games. 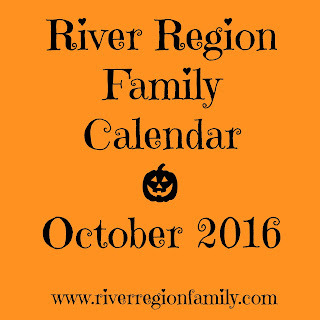 Face painting, hot chocolate samples, decorate a treat bag, costume parade, trick or treating, free photo with the Peanuts gang. The Messiah's Mansion traveling exhibit brings the Montgomery area a chance to learn a little bit of ancient history through a living museum. Travel back over 3,000 years into the desert between Egypt and Palestine where over two million people banded together to build a tabernacle for their God. Each element in the tabernacle had deep significant meaning to the Hebrew people and this tour will bring each symbol to life. Messiah's Mansion will be at 4233 Atlanta Hwy., Montgomery, AL 36109​ from September 17-25, 2016. Free tours of the Messiah's Mansion exhibit will run from 1-7 pm daily. Tours start every 15 minutes and last about 1 hour and 15 minutes. We visited this in the past and it is educational and also amazing to be able to see in person and in actual size what you have only read about in the bible.